Bacardi recently launched their latest deep saturation advertising campaign, with videos on TV, cinema, and YouTube and bill hoardings in train stations and tube stations and bus stops. The adverts brandish the Cuban flag, with slogans such as ‘we survived exile from our own country’ and ‘we thrived during prohibition’. Bacardi, the richest family-owned business in the world has an army of lawyers and marketing and public relations professionals, to clean up their murky past and right-wing agenda. Scratch the surface, however, and the truth is there. Bacardi began leaving Cuba long before the revolution, back in 1910 when they moved their bottling to Barcelona, Spain. Later in the 1930s they opened facilities in Mexico and Puerto Rico. This information can found on Bacardi’s own website. Bacardi boasts about how they benefited from the abuse of Cuba as a colonial playground for wealthy Americans during the prohibition years. However, they also claim that their assets were ‘illegally confiscated without compensation’ by the Cuban government in 1960. In fact, they were offered compensation by the revolutionary government, a sum based on the value of the assets they had themselves declared for tax payment purposes. The figure didn’t take into account the international holdings the family held. Pepin Bosch, head of Bacardi at the time of the Cuban Revolution, a man referred to as ‘the saviour’ on Bacardi’s website, was linked to the CIA and exiles groups actively involved in sabotaging and attacked revolutionary Cuba. Later, he and other members of the Bacardi family helped set up the Cuban American National Foundation (CANF). Membership was initially admitted to Cuban exiles whose businesses were worth more than $50,000 when they were nationalised by the Cuban government. This exclusive club used their wealth to buy power, cultivating the support of influential right-wing US senators. The fruit of this partnership was the Helms-Burton Act in 1996, which penalises any country trading with Cuba. Even the European Union questioned the legality of the Act, but CANF lawyers found a loophole around this. The establishment of the campaign Rock around the Blockade (www.ratb.org.uk), set up by members of the Revolutionary Communist Group, coincided with this period. 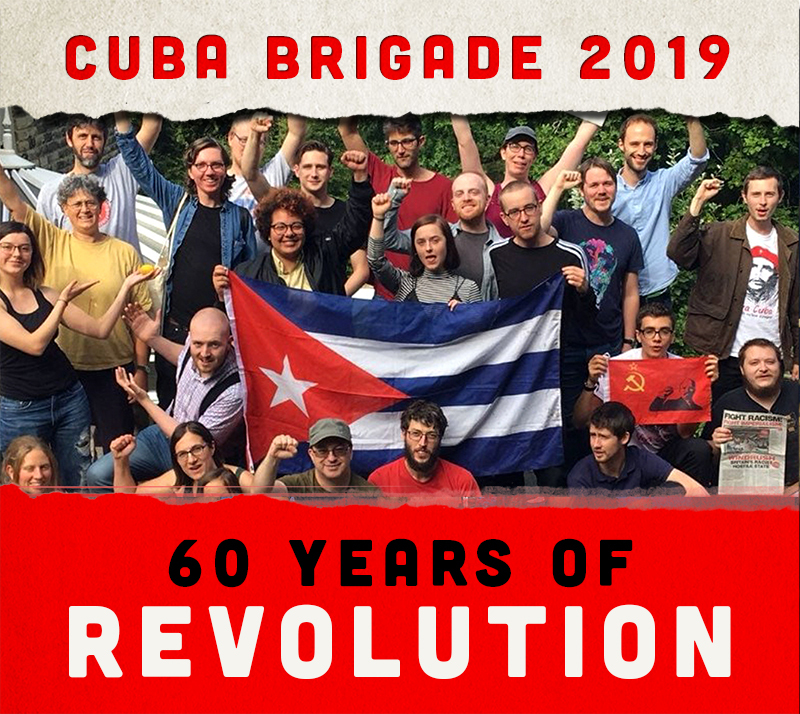 One of RATB’s most prominent campaigns was to expose and oppose the Bacardi corporation highlighting their involvement in the illegal blockade and terrorism against Cuba and progressive movements in Latin America. We did Bacardi bar busts, street theatre, subvertising and appealed for conscientious drinkers to choose Havana Club, real Cuban rum, whose profits are invested in Cuban society. A really useful source of information about Bacardi’s history was the book Bacardi: the Hidden War (Bacardi: La Guerra Oculta) by Colombian journalist Hernando Calvo Ospina. This review of the book appeared in Fight Racism! Fight Imperialism! in 2001 http://tinyurl.com/ldlawu3 . The following year the book was published in English with a forward from James Petras. Rock Around the Blockade photos from our previous Boycott Bacardi campaign.